After a professional steam cleaning, your grout is clean and fresh but is it protected? After washing your car, the best way to protect the paint is to apply a coat of wax. Don’t your floors deserve the same care and attention? At SRQ Carpet and Tile Cleaning, we want to help preserve your investment by offering optional grout sealer that can be applied right after we finish your cleaning. A water based grout sealer is rolled onto the grout lines, soaking into the porous surface of the grout. Grout sealer forms a breathable, protective barrier between the grout and the environment, defending it against dirt and spills. Although grout sealer is not a substitute for regular floor maintenance, it will optimize your cleaning results in the future. Treated grout will retain its beauty and repel soil better than untreated grout, which means increased duration between cleanings. 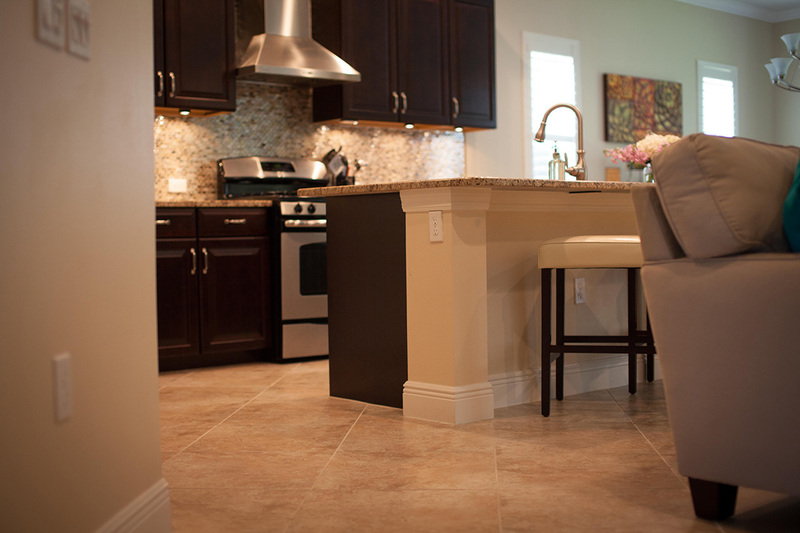 There is no secret to beautiful floors, Call us today for a Risk-Free Consultation! SRQ Carpet and Tile Cleaning is a dynamic carpet and tile cleaning company defined by integrity and genuine care, providing old school quality service and phenomenal value to Sarasota and Manatee counties. © 2017 SRQ Carpet and Tile Cleaning. All rights reserved. Powered by Spot On Solutions.